Open a Michigan IRA (Individual Retirement Account) before April 15, 2018, to take advantage of potential tax benefits on your 2017 tax return. Many people set goals to save more money to support a comfortable retirement. Even if your retirement seems well into the future, there can be some instant gratification. For the 2017 tax year, individuals can make annual contributions to a traditional or Roth IRA of up to $5,500 or 100% of earned income, whichever is less. Married couples filing jointly can contribute up to $11,000 ($5,500 per IRA) provided either spouse has earned an income of at least that amount. Individuals age 50 or older can take advantage of a catch-up provision and contribute an additional $1,000 to an IRA. Customers can set up a Michigan IRA with a minimal initial contribution. Adding money on a monthly basis will allow the account to grow on a tax-deferred basis. This will be a great resource to help you save for the future and provide for a comfortable retirement. Many Michigan Insurance Companies offers several products that can be used as an IRA funding vehicle. Factors such as your time horizon, risk tolerance, and other financial goals, will make some products more suitable than others. 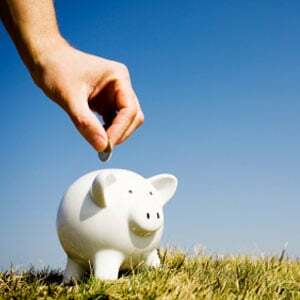 Contact a professional to help access your financial situation and determine what type of IRA may best meet your needs. An IRA can become a crucial part of your personal retirement savings program. The sooner you begin, the more time you have to take advantage of the benefits an IRA provides. The time to establish an IRA has never been better. Contact a Michigan agent online or call 248-888-1134 to get more information on how to start an IRA or go to Michigan Financial Products for more information on Michigan IRA.